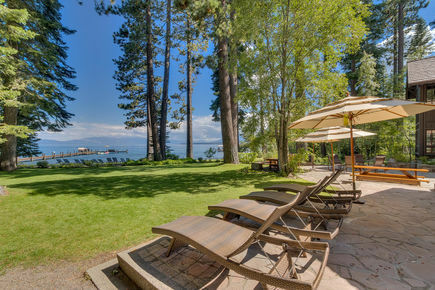 This iconic west shore lakefront estate boasts an exquisite outdoor setting with exceptional privacy. 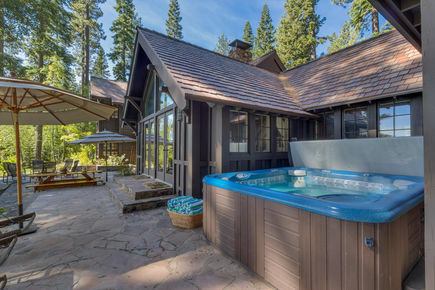 Set back from the quiet, exclusive street on 6.2 acres (to low water line), the tranquil setting invites you to savor Tahoe days. 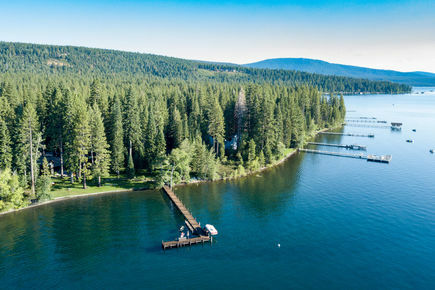 The landscaped lawn meets water’s edge with approximately 400 feet of lake frontage amongst towering old growth trees. 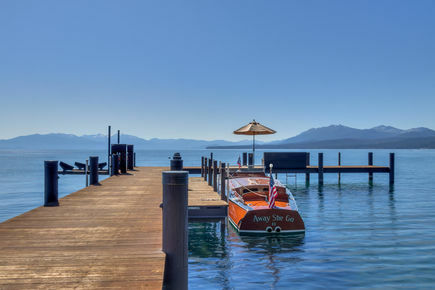 Step out onto Lake Tahoe from the private pier. 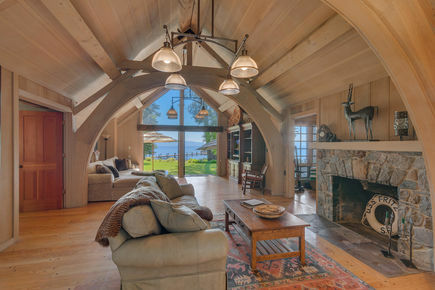 A boat hoist and 2 buoys offer ease of accessibility to relish lake time in this coveted west shore cove. 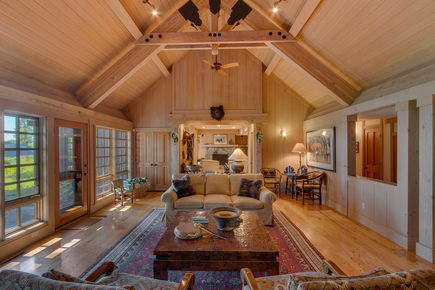 A 2 bedroom & 2.5 bath, 2,526 square foot guest house displays stately elegance. 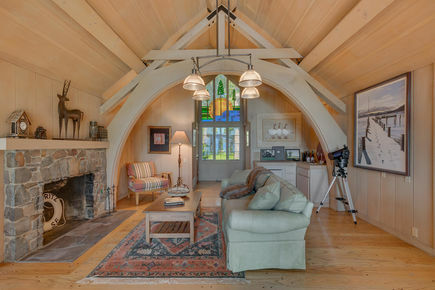 Or, host family and friends in the main house, with distinct wings to retreat to. Professional grade kitchen appliances accommodate chefs and entertainers alike. 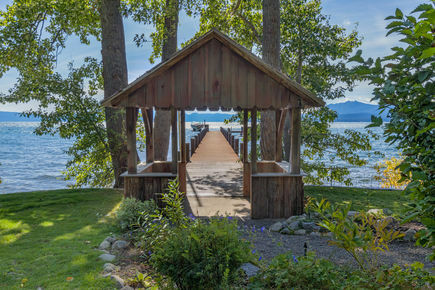 The rich history of the estate dates back to the early 1920s when Stewart Edward White, an famed American author and conservationist, purchased the land. He was a close friend to Theodore Roosevelt, who called White "the kind of young American who is making our new literature." White was included with the likes of Jack London and Rex Beach. White built three yurts on the property with wood floors and canvas walls and used the site as a retreat to write in the summer months. He named the property the Brushwood Estate after the book "The Brushwood Boy," by fellow author Rudyard Kipling, a tale of adventure which he found to have a certain romantic connotation appropriate for the setting. 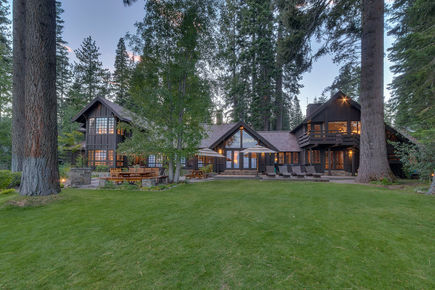 In the summer of 1927, Richard and Ruth Shainwald purchased the property, hosting notable guests, socialites and business magnates from San Francisco. During their tenure at Brushwood, they owned three wooden boats, Away She Go, and then Away She Go II and Away She Go III. 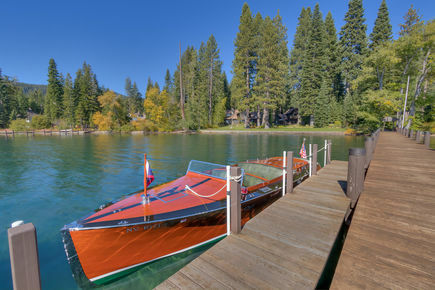 Away She Go II can still be found on Lake Tahoe and occasionally is displayed in the annual Lake Tahoe Concours d'Elegance. The Shainwalds sold the home in 1945 to Lewis and Marion Marsten. 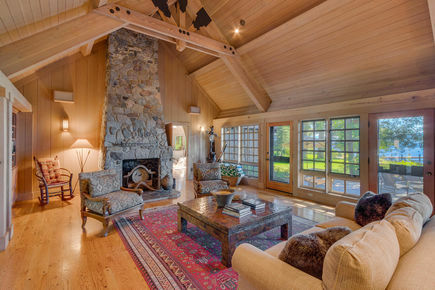 The Marstens owned the property for 51 years before selling it to the current owners. More recently, the home is famed for having hosted many years of the annual Oscar de la Renta fashion show, unveiling the latest collections. The shows, widely considered to be the social event of the season, would host over 600 distinguished guests and fashionistas, including Oscar himself. The home has industrial scale power in the yard for sound equipment and lighting. A back-up generator with 800 amps of service can run the entire property. The property is well-suited to run large scale events. 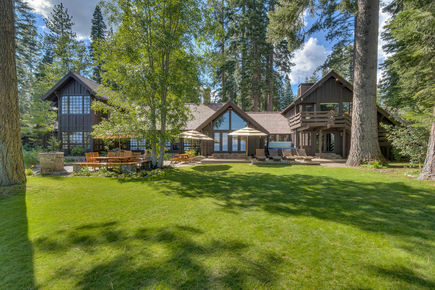 With Old Tahoe allure and modern conveniences, this grand estate presents a truly unique Tahoe experience. Brushwood Estate Square Footage Calc.